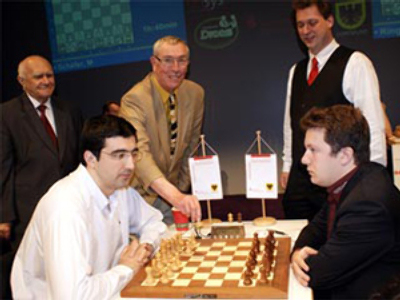 Boris Gelfand of Israel will meet India's Vishy Anand, the reigning chess world champion, in the 2012 world championship match. 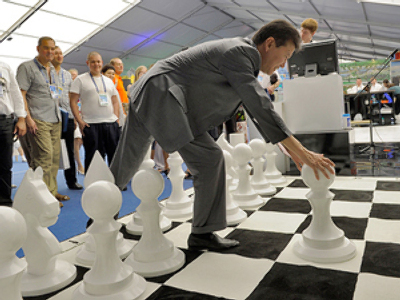 That comes after the veteran beat Aleksandr Grischuk in the decider of the World Candidates Matches final in Kazan. After the two grandmasters tied all five of their games in the final, the main question of the day was whether Gelfand would stick to his chance to win the final in classical chess, or whether the series would continue with quick chess. And the Israeli strategist, playing whites, eventually did not let the young Russian make a break and forced him to capitulate after 35 moves. 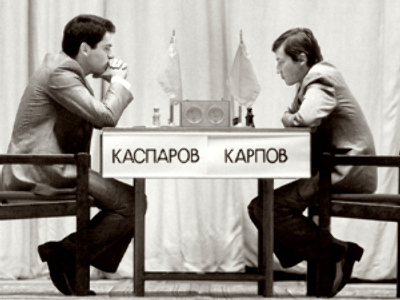 Both grandmasters were regarded as dark horses going into the series of the World Candidates Matches. 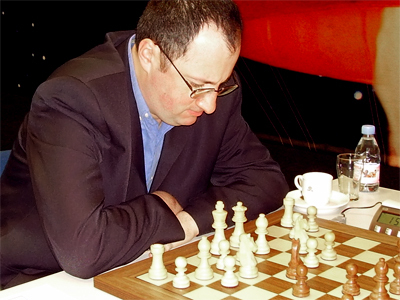 Gelfand, 42, ranked No. 16 in the world, had a career record of doing well in major events without winning. Grischuk, 27, the world No. 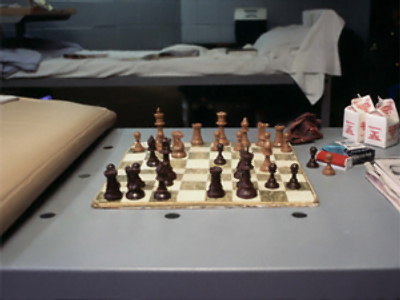 12, divides his time between chess and poker, and was included among the eight candidates only as a late substitute. But on his way to the finals the Muscovite beat the two top favorites, Levon Aronian and former World Champion Vladimir Kramnik, while Gelfand knocked out the US champion Gata Kamsky. The world championship match will be held in 2012, with London the most likely host city.